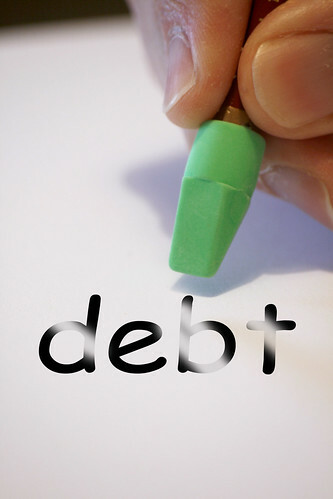 Debt Collectors: I am not Antonio S.
I don’t know who Antonio S. is but I know a lot about him. How? I switched to Verizon nearly 18 months ago and received the phone number that used to belong to Antonio. So what can you or I do when debt collectors call the wrong person? 1. Change Numbers. I don’t want to change my phone number after this length of time. I would recommend this option when it happens to someone fairly soon after getting a new number. 2. Assert Your Rights. The Fair Debt Collection Practices Act protects all of us from harassment from debt collectors. You don’t have to continue receiving calls for another person (or yourself for that matter). I tell each collector that I don’t know who Antonio is as our only connection is that he used to have my number. I also add the length of time I have owned the number. Keep a long of calls after notifiying them that person no longer has the number. If collectors continue to call after that point then I would contact the state attorney general. 3. Block the Numbers. In researching this story I see people in the same situation with mixed results. Some continue to get calls several years after getting their phone number. It might be simpler to just block the number. Has this ever happened to you and how did you handle it? What a nightmare! A friend at work has had a similar experience, except that it’s an Indian company that keeps trying to sell him a herbal viagra alternative. Thanks for the info! I think if I transfer to a different cell phone company in the future, I’ll fight to keep my existing number!!! Money Reasons, good idea to just keep your original cell phone number if possible. The only reason I changed was because the area code we live in now was different than my cell phone and I wanted a “local” number. About two years after I got a particular phone number I began to get call after call for “Aliou.” (No idea how it’s actually spelled — that’s just a WAG.) Often the calls came in the wee hours and were from friends who didn’t speak much English. But I also got calls during the day from debt collectors looking for Aliou and also another person (maybe his wife?) whose name I can’t remember, let alone pretend to spell. I kept telling them I wasn’t that person. Eventually the calls tapered off. But now it’s the mail that’s driving me nuts. Two different women are using my address (maybe they lived here at one point?) when getting health care. The bills from a couple of different medical centers keep coming to me. And I keep sending them back, noting on the envelopes that I have lived here for FIVE YEARS NOW and no one by either of those names is in residence. But the bills keep coming. The calls have started tapering off (dare I hope they’re over). How annoying to get bills for other people at your house! Fedex wanted us to sign for a package a few weeks ago that was for the previous owner of our condo. Why would he have a fedex delivery from Verizon 2 1/2 years after moving? His phone would never have made it to him. There’s a lot of wasted money for businesses trying to track down people using old numbers and addresses. I had the same thing happen to me for 2 years! WTF! They don’t listen to the person with the vmail greeting or anything. This is why my mobile is always on silent. If there’s something important, txt me or leave a msg. I only turn my phone on when I’m expecting a call. My cell phone is my home phone so never know when a family member is going to call. Two years is a long time to deal with these calls. I hope it stops much sooner. i don’t have exactly that problem, but i did get a phone number from verizon in 2003 and am still getting calls from what are probably not debt collectors but rather senile senior citizens looking for someone named charles. they even leave me voicemails even though my name is clearly not charles and i’m clearly not a man. It sounds like a mistake may have been made in reading or writing down Charles’ phone number. I can tell from work voicemail that people don’t listen. When I was on vacation a client left me a mesage the first day to call her back that day even though my message stated I was gone for 10 days. I had “Tina” phone calls for awhile. If at all possible I do recommend reaching the agency or office, and telling them they have a bad number. They’ll think it’s a good number unless they are told otherwise. I got into the same position (am still in it) when I got my first cell phone a few years ago. The first collectors that called (& I innocently answered the call) actually told me that by answering the phone I was acknowledging I was the person they were looking for. The messages they leave (now that I don’t pick up from unrecognized numbers) are truly weird – according to them I apparently broke the law by listening all the way through one voice mail left for someone else on my telephone in a room where there were other people present. I tried calling them back to let them know they have a bad number, but the calls just stop for a few weeks & then start again. My cell company told me that unless I get an actual number they can’t block the calls (they block by incoming phone #), and that these centers use multiple numbers – & company names – so it’s a losing battle trying to keep ahead of them. Valleycat, I don’t get that logic that you’re the person just because you answered. How can you be breaking the law by listening to your own voicemail (whether other people are present or not). These collectors are crazy! Carnival of Money Stories! | Ultimate Money Blog- Save Green and Live Green!